UPDATE: The application was just pulled saying that it was a premature release. – Join Skype on your iPad in a few moments or just sign straight in to your account. – If you already have a Skype account, your Skype contacts will automatically be there on your iPad. – Weâ€™ve made adding new Skype contacts really easy. – Once theyâ€™re in your Contact list, call, video or instant message them in one touch. – Flick through recent calls and instant messages in your Skype for iPad history. – Skype for iPad works over Wi-Fi or 3G (operator data charges may apply). 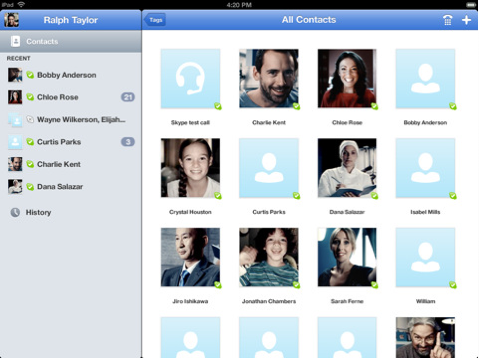 Call Skype contacts on their iPhone, iPod touch, iPad, PC, Mac and even Skype enabled TVs. Current Skype application users won’t find an update, but rather a brand new application called “Skype for iPad” in the iTunes App Store. Of course the application is available for free and it seems to also be available worldwide. 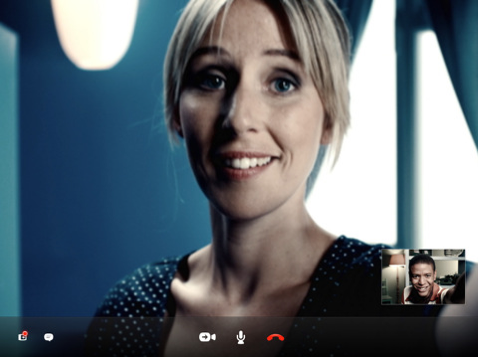 Skype features a new full screen video and viewing preferences. You have access to all features that is in the other versions for iPhone and iPod touch. Skype also adds in the ability to use your Skype credit to call landlines. Check it out on your iPad and tell us what you think of the new iPad version.